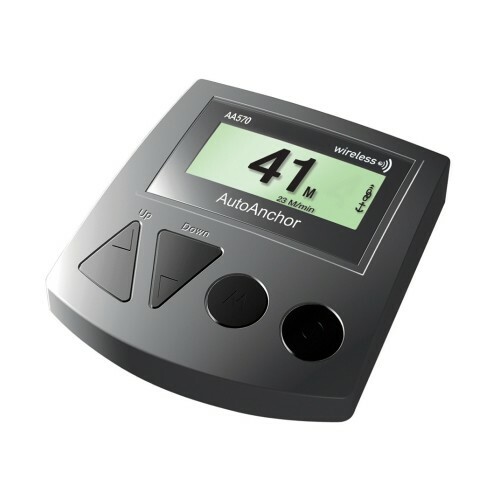 The AA560 electronic windlass control and rode counter (chain counter) is the latest in the 500 series of AutoAnchor products designed to operate either rope and chain or all chain rode. Can be connected to a 12V or 24 V DC, AC or hydraulic powered windlass. Please note product specifications may change without notice and the latest product specifications may not be reflected in the versions available on this website. Please contact AutoAnchor for specific technical information.